The individuality of nature drives Emily’s design process, infinitely varied as it is, especially at a cellular level. 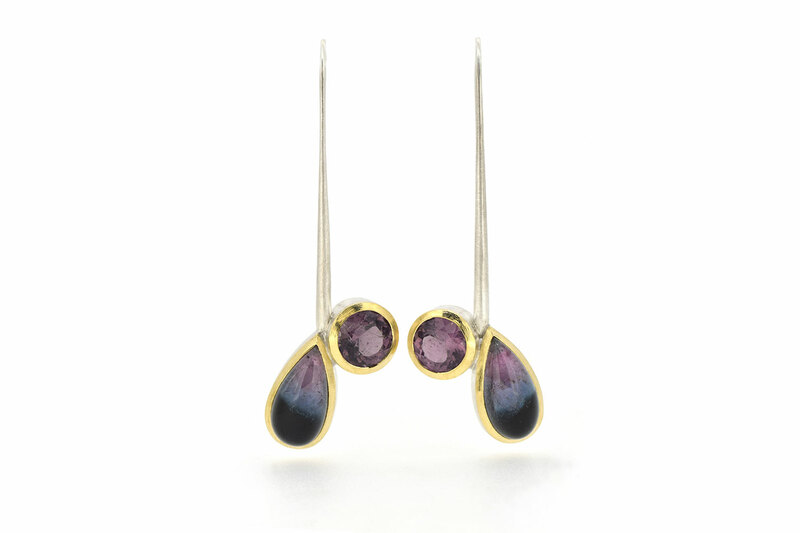 The elegance of form in her pieces draws inspiration from this microscopic world. 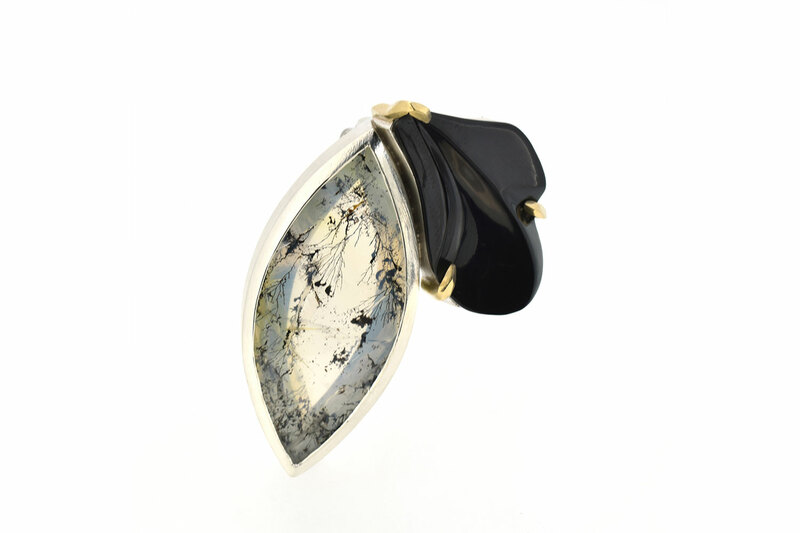 She selects unique gem material for each design, working to expose the honesty of the stone – the inclusions and fractures, responding to these innate characteristics rather than discarding them. 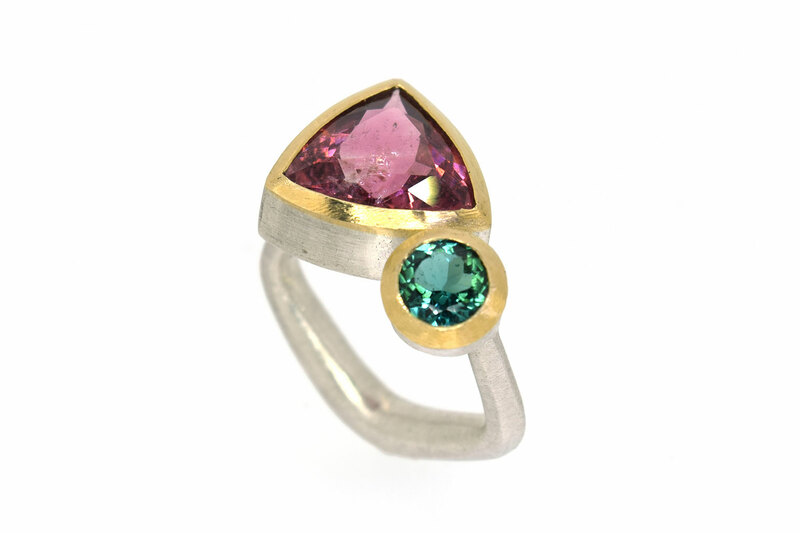 Using traditional hand-fabrication techniques, utilising colours of both stones and precious metals Emily draws the eye around the designs, exploring both negative and positive space. 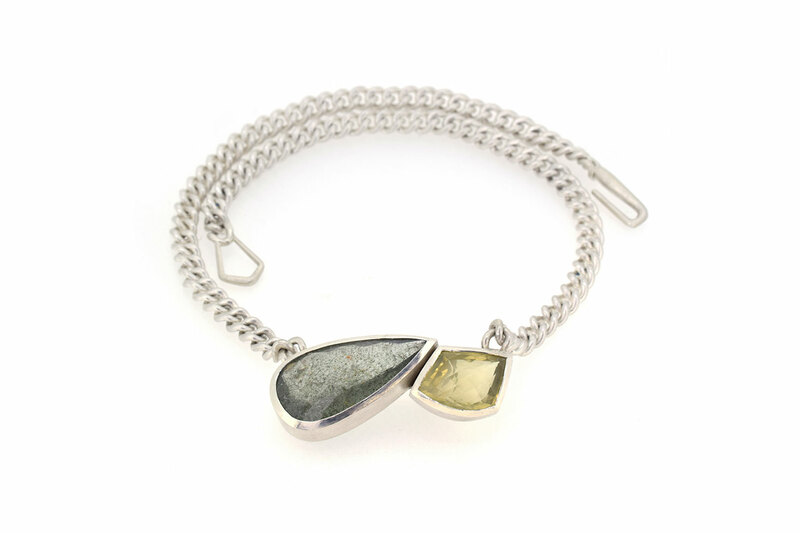 Originally from Cambridge, Emily studied a BA Hons in Silversmithing, Jewellery & Allied Crafts at The Cass, London and now works from her studio in Sheffield exhibiting her work both nationally and internationally.